The skin is the largest sensory organ of the human body and acts as natural protection against external influences. Baby's skin is more sensitive and as a result, requires special care. The skin is not only the largest organ of the human body. It is also a sensory organ, through which we perceive the sensation of touch, temperature and pain. The first sensory experience occurs via the skin. This is heightened when infants suffer from skin diseases. The skin performs many vital functions. It serves as protection, aids in excretion purposes, regulates the body's temperature, responsible for sensory perception and breathing. However, an infant's skin is not fully developed at this age and is therefore still extremely sensitive. The fatty tissue under the skin is nonexistent, the sweat glands are unable to regulate body temperature, the sebaceous glands do not produce fat and a greater sensitivity to cold and heat is evident. contain the least amount of listed ingredients as possible. 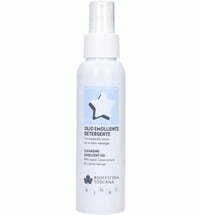 be free from mineral oil, emollients, essential oils, preservatives, dyes and perfume substances. be formulated specifically for babies, i.e. particularly mild and balancing. Avoid a heavy application of creams and ointments. Use a skin cream with oil or a rich cream the face and ears during winter, to protect the baby from the cold. Do not use powder. It could be inhaled. When bathing a baby, use as an additive such as almond oil, which avoids strain on the skin. Air the diaper area as much as possible to prevents skin irritation. Use cotton over synthetic fabrics, because it is easy to clean, breathable and skin friendly. Silk is also an option for particularly sensitive skin. In regard to baby personal care, it is important to avoid unnecessary stress on the skin and support the already weak barrier function of baby's skin. For newborn babies, a "quick wash" with a washcloth or sponge and warm water is sufficient. Only the hands, face, skin folds and the diaper area should be washed on a daily basis. 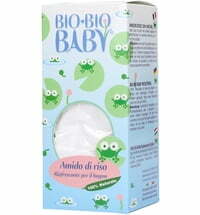 For the extensive range of baby care products at Ecco Verde, click here.